Big news for festival fans of a more left-field persuasion. We can exclusively announce that the LittleBig Agency is taking over a stage at Tauron Nowa Muzyka, the award-winning music festival located in a disused coal mine in Katowice. 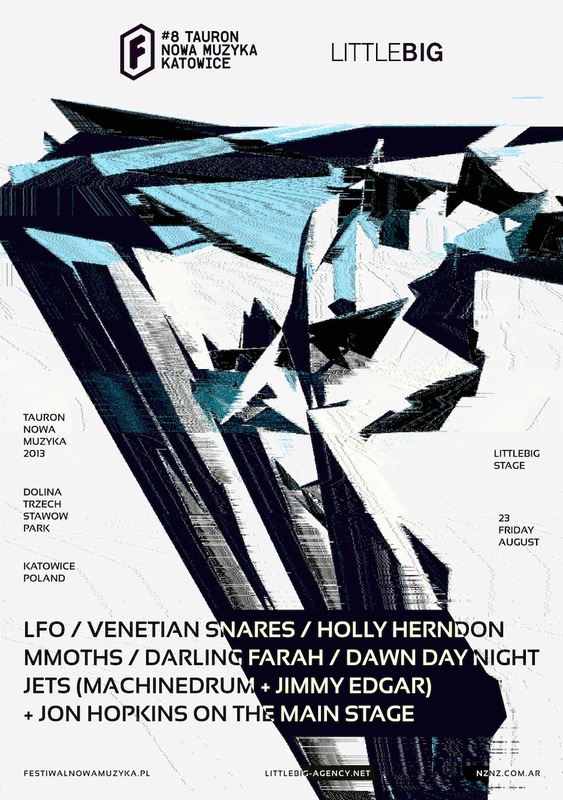 As you might expect, the agency has curated a head-popping line-up which is led by pioneering ’90s electronic act LFO—now wholly Mark Bell’s project—who’s been coaxed out of seclusion to perform a set accompanied by, what promises to be, some truly impressive visuals. He’ll be flanked by the always divisive purveyor of anguished sonics Venetian Snares and EB’s favorite avant-techno composer Holly Herndon. Completing the the lineup are JETS, the always fun collaborative project of Machinedrum and Jimmy Edgar, Dawn Day Night, and LittleBig artist Jon Hopkins, whose 2013 album Immunity has surely seen him book his place in the year end lists. The festival takes place across August 22-25th in Katowice, part of the Upper Silesia Region of Poland. Other highlights include showcases from Numbers and Kompakt, Zebra Katz, Skream, Thundercat, London Grammar and Vladislav Delay. Find out more, including the full bill and set times, by heading to their website here. For tickets, including one-day, two-day and three-day tickets and travel packages head here.